When you move into a rental place, it’s normal to want to make it your own by hanging pictures or even painting an accent wall. But when you’re renting you must remember: Any changes you make may need to be reversed once you move out – and landlords are entirely within their rights to use your money to do it. That’s why renters have to walk a fine line between making themselves feel at home and making changes that will cost them their bond. But all is not lost. Sometimes, modifications can be made with the owner’s approval. In fact, sometimes they’ll help out with costs. 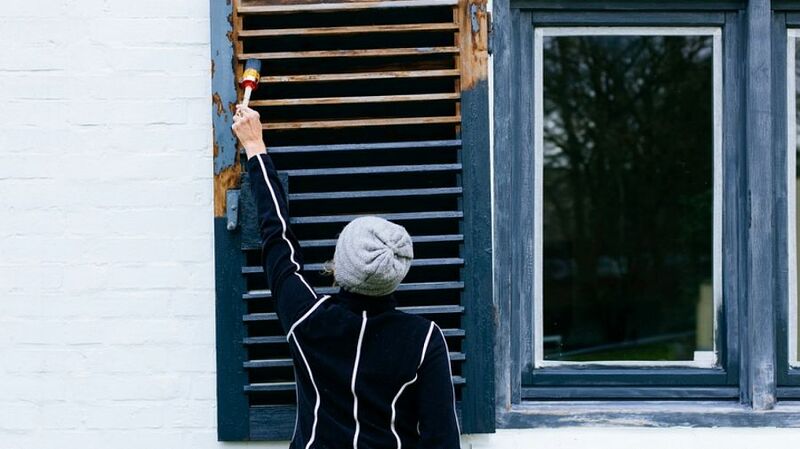 Just make sure you’re 100 per cent clear about the stipulations of your lease, and that you have fully informed the landlord before you pick up a paintbrush or hammer. Communication is the key. “I’ve had tenants who’ve been really keen on DIY – and they’ve done a great job – so I’ve been happy to give them pretty free rein, so long as I’m informed,” says Richard, a landlord with two rental properties. Richard also has plenty of experience with tenants whose “improvements” were anything but. These are a few of the most common upgrades that tenants attempt and landlords hate. There’s an excitement with moving into a new home. And, to many, that means breaking out the paint. Experience has shown that it’s not the colour but the skill that’s the sticking point. “I’ve had tenants get paint on the ceiling, on the trim, on the doorknobs and outlets. I even had one tenant who painted around the pictures they’d hung on the wall, and around the furniture that was placed up against the wall,” says Richard. Filling in holes in the wall is one of the most common issues landlords have to deal with after a tenant moves out. Those cheap vertical blinds are so ugly. Your impulse to put up a curtain rod or roman shades is completely normal. But the holes you have to drill into the wall to mount the window treatments, like those for your pictures, will require patching once you move out. Landlords fume every time they see big screw marks around the window frame. What’s worse than hammering nails into the drywall to hang pictures or curtains? Drilling holes in the wall to mount your flat-screen TV. The screws have to go directly into the centre of studs, so it’s not unusual for a renter to screw 10 to 20 holes into the wall. At worst, the TV will crash to the floor because it wasn’t mounted correctly, possibly injuring someone, shattering the TV and taking a chunk of the wall down with it. You would think that planting a few tulips would delight a landlord. But that’s not necessarily the case. If you’re not a fan of that noisy old refrigerator in your rental, it’s perfectly fine to swap it out with a new one of your own – as long as you talk it over with your landlord first, and then reconnect the old one after you move out. “Unbeknownst to me, a tenant bought a new fridge and sold the old one – which was owned by me,” says Richard. “So as we were doing a walk-through when they were moving out, they couldn’t understand why I was a bit annoyed when I walked into the kitchen and saw a gaping hole where the fridge was meant to be.